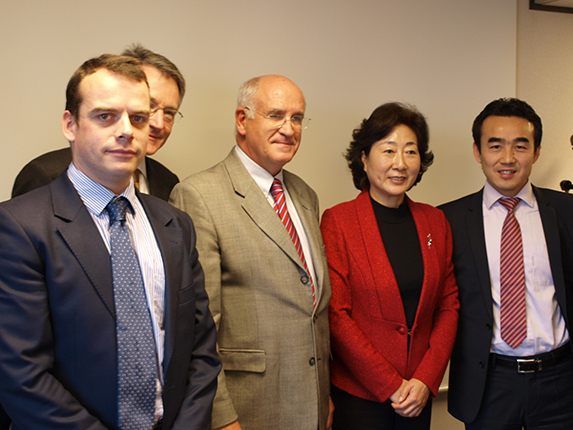 December 2013: Euro China Capital was pleased to organize a meeting between a Chinese delegation led by the Vice-Governor from Anhui Province and the French Vehicle Equipment Industries (FIEV). The Vice-President of the FIEV, Arnaud de David-Beauregard, could thus have an constructive consultation with Vice-Governor of Anhui, Mrs. HUA Jianhu, about the synergies to be developed between French vehicle industry and local Anhui players. Anhui is located across the basins of the Yangtze River and the Huai River. It enjoys a strategic geographic position, closed to Shanghai and connecting the south with the north. With a population equivalent to France, Anhui Province is well-known for its industry of automobiles and energy resources.